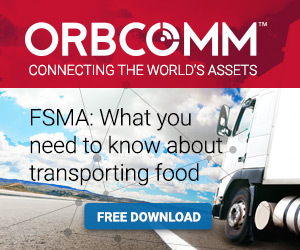 The FDA Food Safety Modernization Act (FSMA) rules around the safe transportation and distribution of food begin to take effect in 2016 and carriers need to take the lead in starting the conversation with shippers on how to achieve compliance. Temperature controls and sanitation are key requirements that must be addressed. To help you on your way, we’ve identified 12 questions that carriers can discuss with their shippers to begin the compliance process. 1. What are the temperature tolerances for the safety of the different loads? 2. How will precooling requirements for the loads be communicated? 3. How will temperature control requirements during the transportation process be documented and communicated to the carrier? 4. How will temperature records during the transportation process be communicated to the shipper? 5. Are there any other records that need be sent to the shipper? 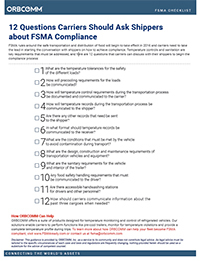 For more FSMA resources, including more checklists and the Simplified Guide to FSMA for Food Transporters, visit http://www.fsmaready.com.